Issue 5 of The Herb Magazine has now been published. Thank you for the feedback for the first four issues - I'm really grateful. 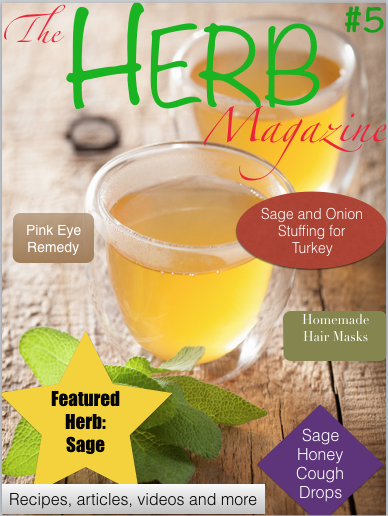 The focus this issue is sage, recipes, remedies and preserving advice. There’s a remedy for Pink Eye, how to make Sage Honey and Honey Cough Drops. Sage and Onion Stuffing is really child’s play as the video will show you as two children are actually demonstrating it! - you’ll never want to buy a packet mix again. You'll find out which herbs go with lamb and how to make mint sauce, there's natural hair masks and how to use herbs instead of chemicals for cleaning and lots more. Incidentally, if any of you are writers, website owners, bloggers or similar, I am taking submissions for the magazine. It's a free advert for your products or visitor boost for your site. Let me know if you want to submit something for inclusion or if you have any suggestions for people I might approach who would be interested. 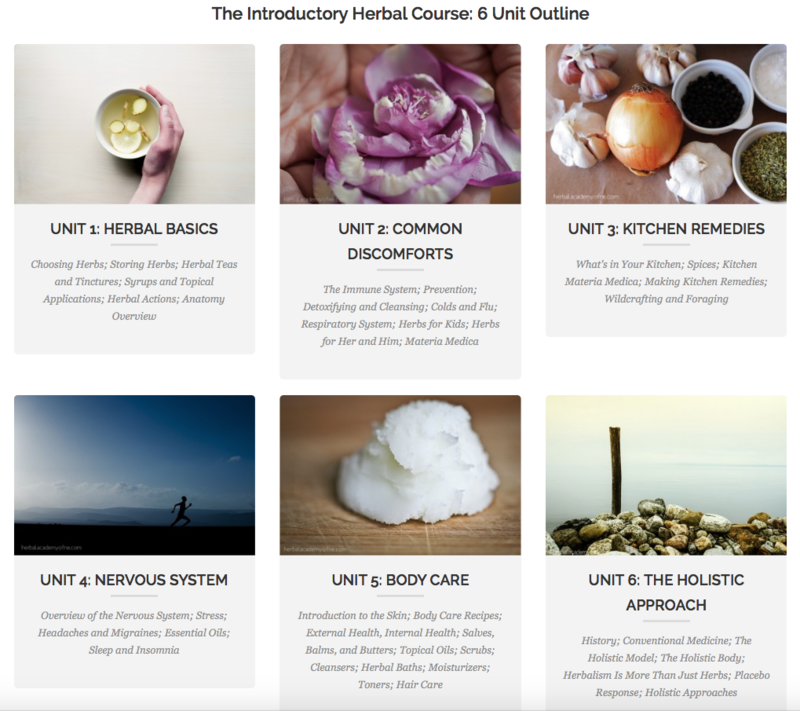 I am loving the Introductory Herbal Course I've signed up for from the world famous Herbal Academy of New England. I have completed Unit 3 now and you can read my experiences and thoughts in the magazine. This Unit is dealing with kitchen remedies. It’s the one I looked forward to doing most as it means there’s always stuff in the cupboard and I don’t have to go out buying obscure ingredients! Do have a look at the course, you'll find it really interesting. I'm so impressed with the content of it. The new courses look fantastic - they’re offering bundles as well which work out a bit cheaper than the individual courses. I’m really tempted to do the Entrepreneurial one next - watch this space! Please don't forget there's an offer for three months subscription of The Herb Magazine at no charge on Apple Newsstand. The offer expires on 26th November - for those of you who have already bought a subscription, please let me know when it expires and I will provide you with a password to get three months extra. Please feel free to pass these links and the password to anybody who has an Apple product and an interest in herbs or natural remedies, cosmetics and the like - the more the merrier! Click on the link below and use the word 'thyme' no quotes in the box. That will get you through to the page which will give you instructions as to how to install the app and download the magazine. Like the Facebook Page to receive regular updates as well - I do post most days, something funny, useful or thought provoking. It's a great place to interact and I will see your questions or comments immediately. If you like the magazine I would love it if you could leave me a review in the App - that would be fabulous! Issue 6 is rosemary and 7 is lavender - get your questions and contributions in fast.